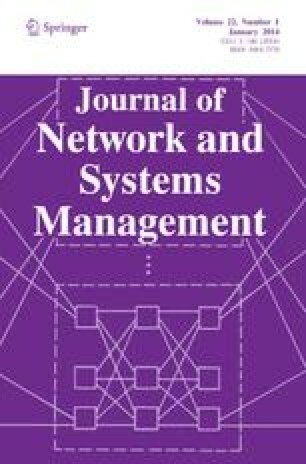 This paper describes a system called Trends for managing IT resources in a production server environment. The objective of Trends is to reduce operational costs associated with unplanned outages, unbalanced utilization of resources, and inconsistent service delivery. The Trends resource manager balances utilization of multiple resources such as processor and disk space, manages growth to extend resource lifetimes, and factors in variability to improve temporal stability of balancing solutions. The methodology applies to systems in which workload has a strong affinity to databases, files, or applications that can be selectively placed on one or more nodes in a distributed system. Studies in a production environment demonstrate that balancing solutions remain stable for as long as the 9–12 months covered by our data. This work takes place in the context of the Lotus Notes distributed database system, and is based on analysis and data from a production server farm hosting over 20,000 databases. Norman Bobroff has been at IBM T.J. Watson Research Center since receiving his PhD in Physics in 1983. After working in optical lithography and laser metrology he joined computer science. His current interest is storage area networks and server performance. Lily Mummert is a researcher at IBM T.J. Watson Research Center in Hawthorne, NY. She received a PhD in Computer Science from Carnegie Mellon University in 1996. Her interests include distributed and mobile systems, self-managing systems, and distributed systems management.